Here is another conclave image this time from Michael Uchmanowicz for the 1974 Section NE-2A Conclave. 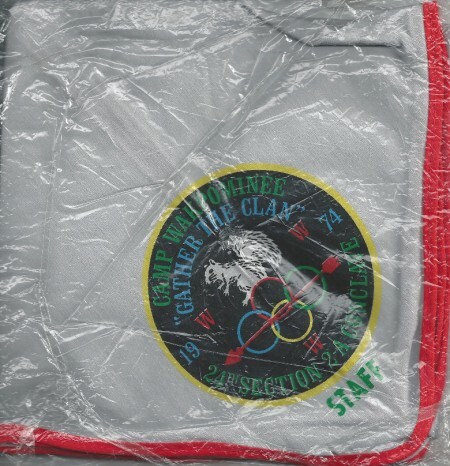 He sends along an image of the staff neckerchief issued for the eventNE-2A 1974 conclave. 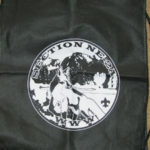 I’d previously written up this but was not aware of a staff neckerchief. 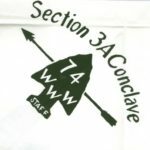 I’ll update the original NE-2A 1974 conclave post with the information too.